ROSE Bowl?! Are you kiddin’ me? ROSE Bowl? We’re just trying to win a GAME! 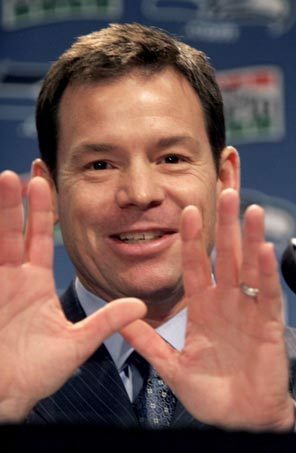 Okay, I know it’s not that Jim Mora. First I want to say for the record that the firing of Rick Neuheisel was a bad move. Despite the naysayers, he had the program moving in the right direction. Pac-12 Southern Division champions. He closed the gap with USC. Yeah, I know they lost to USC 50-0 but just imagine what the score would have been if he hadn’t closed the gap. I heard Coach Mora on the radio this afternoon. I wasn’t impressed. I’m not as elated as I was about the Neuheisel or Karl Dorrell hirings, but I just don’t think UCLA athletic director Dan Guerrero has any idea about how to hire a football coach. He’s tried to copy the Pete Carroll model, first by hiring Carroll assistants as coordinators, and now by hiring a former NFL defensive coordinator with a spotty record as a head coach, most recently in Seattle, where he was fired and replaced by — Pete Carroll!